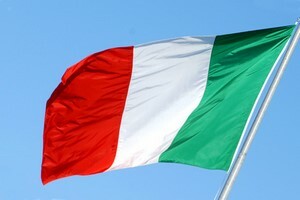 Compare prices on car hire in Italy from all the major brands and find the best deals. When you book through us, unlimited mileage and insurance are always included in the price given. Italy (60 million inhabitants in 2010) located in Southern Europe – specifically in the Mediterranean – and consists of the Italian peninsula, as well as the large islands of Sicily and Sardinia .The country has coastline on the Ionian sea, Terre Sea, the Adriatic and the Ligurian Sea (all of which are sidehav to the Mediterranean Sea). Italy borders Austria , France , Switzerland and Slovenia .The independent states of San Marino and Vatican City are enclaves in the country. Italian mainland is mountainous with the Alps in the north, Posletta south of the Alps and the Apennines mountain range from north to south. The highest peak is Mont Blanc (Monte Bianco), located both in Italy and France (4,808 m). There are also several large volcanoes in Italy. The most famous is Mount Etna and Mount Vesuvius. Ital has an alpine climate in mountainous areas, but otherwise, the country has largely Mediterranean climate – especially in the south. The most visited cities in Italy are Rome , Milan , Venice , Florence , Naples , Palermo and Verona . The capital city Rome has 2.7 million inhabitants and is located centrally of the country – 24 km east of the Tyrrhenian Sea.Rome has many famous sights, and the old town is listed as a UNESCO World Heritage Site. Italy’s International Airport is Aeroporto di Rome – Fiumicino (also known as “Leonardo da Vinci – Fiumicino Airport”) , which is located 35 km outside Rome . Car-hire.net has one of the widest range of car rental in Italy. All rates on car rental in Italy include liability insurance, unlimited mileage, even business insurance, theft insurance, and any airport tax.